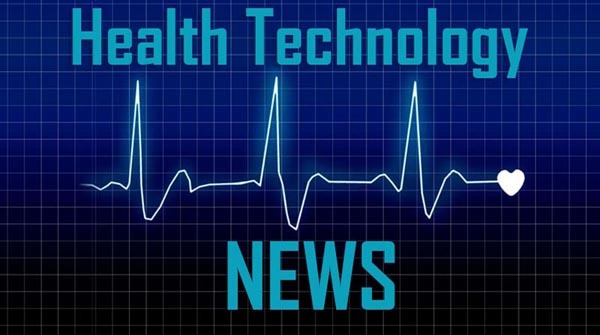 SANTA MONICA, CALIF / ACCESSWIRE / April 1, 2019 / Parallax Health Sciences, Inc. (OTCQB: PRLX) (“Parallax” or the “Company”), an outcome-driven connected healthcare company, today announced operating and financial results for the 12 months ended December 31, 2018, and provided a business update. “We intend to be better positioned to execute on this strategy upon completion of a $6 million equity financing, (the “Offering”). We have retained Maxim Group, LLC, to serve as our placement agent for the Offering, of which the details were filed in a Form 8-K with the Securities and Exchange Commission on March 29, 2019,” concluded Mr. Arena. Management plans to hold an investment community conference call in mid-April 2019 to discuss the Company’s business progress, the details of which will soon be provided. Revenue for the 12 months ended December 31, 2018 was $11,739, compared with $94,937 for the 12 months ended December 31, 2017. The decrease was attributed to the repositioning of our Fotodigm® and Parallax Care™ outcomes optimization platforms after we completed some initial testing in the market place. Cost of sales was $20,339, or 173% of revenue, for the year ended December 31, 2018, versus $142,044, or 152% of revenue, for the year ended December 31, 2017. This decrease in the amount of cost of sales was also attributed to the repositioning of our Fotodigm® and Parallax Care™outcomes optimization platforms. General and administrative expenses for 2018 were $6.6 million, versus $4.0 million for 2017.
an increase in office supplies and miscellaneous expenses of $181,018, due to an increase in automobile expense of $40,371, computer and internet costs of $9,814, transfer agent fees of $10,935, patent and product development costs of $73,896, storage and moving of $31,343, communication costs of $10,712, and other general office and administrative expenses of $3,947. General and administrative expenses for both 2018 and 2017 were incurred for the purpose of advancing the Company closer to its financing and operating goals in the bio-medical and digital healthcare sectors. The Company recognized net income of $16.3 million for 2018, or $0.12 per share, which included a $4.5 million gain on the disposal of a subsidiary, and a $23.2 million gain on extinguishment of debt, both related to the closure of the RoxSan Pharmacy subsidiary, as well as discount amortization expense of $2.8 million. This compares with a net loss for 2017 of $13.7 million, or $(0.09) per share, which included discount amortization expense of $5.5 million. During the second half of 2018, our wholly-owned subsidiary, Parallax Behavioral Health, Inc. (“PBH”) was granted United States Patent #US10,061,812 entitled, “Platform for Optimizing Data Driven Outcomes,” which protects Parallax’s technology platforms and proprietary, scalable and industry-first solutions. Along with this patent, PBH acquired a technology platform referred to as REBOOT™, an acronym for “Reliable Evidenced Based Outcomes Optimization Technologies,” which is specifically designed to improve health treatment outcomes using proprietary behavioral technology systems. Our technologically advanced point-of-care diagnostics and our health management solutions are dramatically enriched and enabled through the addition of PBH’s latest behavioral health technologies. When in combination with our novel point-of-care immunoassay diagnostic testing system and our remote patient care technologies, our exclusive solutions are now fortified with our growing intellectual property portfolio that serves as an additional barrier to entry for our competitors. Parallax has over 25 years of efficacy studies, combined with over $3.75 million invested into REBOOT™ by Grafton Health Systems, who PBH acquired the platform from in 2017. Since the acquisition, Parallax has integrated the REBOOT™ technology into the “Optimized Outcomes” division of the Parallax Care™ healthcare system, which also includes “Connected Health”, the division that joins Parallax’s POC Diagnostics and Remote Patient Care systems through its Fotodigm® technology. “Our data driven Optimized Outcomes platform is the cornerstone of our technology platform, and the key barrier to all of our competition in the marketplace,” said Nathaniel Bradley, Chief Technology Officer of Parallax Health Sciences. “This technology, when used within the healthcare system, has been proven to reduce healthcare costs, improve the quality of care, and empower the patients our systems serve. Our “Optimized Outcomes” division, led by Parallax Behavioral Health, is making an unabashed contribution to Parallax Health Sciences family of business operations, and its “Data Driven Outcomes” patent provides the Company the right to exclude others in an unprecedented set of lucrative vertical markets. This will enable long sought market solutions that are still being assessed by our team. The value of the assets, along with potential out-licensing and other activities, are robust and it is clear that we have exceptional, well-positioned assets within our behavioral health segment,” concluded Mr. Bradley. For detailed information on Parallax’s patent portfolio, please refer to Part 1 item 1 of the Company’s annual Form 10-K report, filed with the Securities and Exchange Commission on March 29, 2019, and available at www.parallaxhealthsciences.com or www.sec.gov. Parallax Health Sciences is an advanced technology, outcome-driven telehealth company that allows for cost-effective remote diagnosis, treatment and monitoring of patients through proprietary platforms of integrated products and services. The Company’s interoperable novel applications provide patients point-of-care testing and monitoring with information communicated via internet-based mobile phone applications that are agnostic as to operating system and are built on highly sophisticated data analytics. Information is retrieved real-time by physicians who are monitoring patients with chronic diseases or through biometric feedback for health-related behavior modification, and is automated for integration into electronic health records. The Company’s products and offerings capitalize on the digital transformation in healthcare for improved patient compliance, diagnosis and treatment, and support healthcare system cost savings and efficiencies. For more information, please visit www.parallaxcare.com. These consolidated financial statements should be read in conjunction with the audited consolidated financial statements and notes to the financial statements, provided within the Company’s Form 10-K for the year ended December 31, 2018, filed with the Securities and Exchange Commission on March 29, 2019.